Booker's Rye went on sale for a brief period of time earlier in the year. It retailed for $300. It sold out in most markets within days with a very limited production cycle. 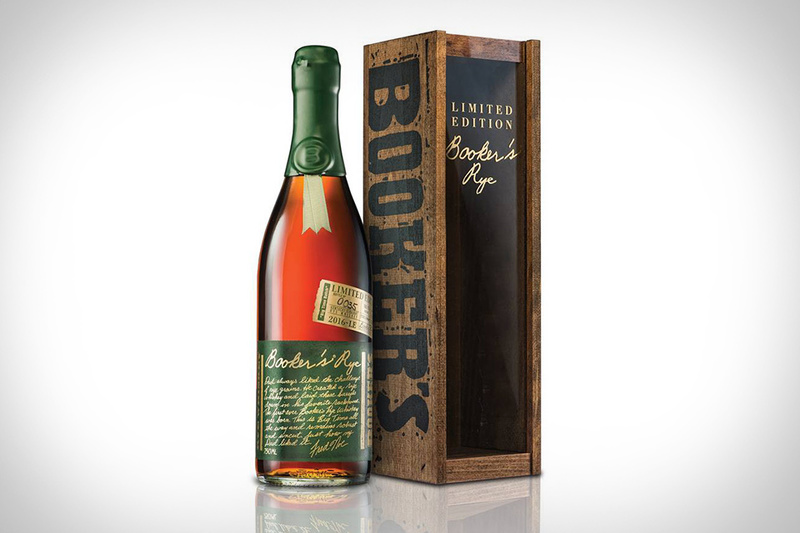 People have been able to find Booker's Rye for between $300 to $600 a bottle. This was their first release of a rye under the Booker's name, and we will likely to see more in the future. As with each year's winner, with whatever marginal supplies that are left, it's likely to disappear within days. Glen Grant Distillery is rebranding. This 18 Year Old expression is part of a new release that's coming in December. No word on how many bottles will be available, or how broad distribution is likely to be. It's expected to be over $160 US. William Larue Weller is one of five whiskies released as the Buffalo Trace Antique Collection. All five are some of the best bourbons and ryes in the world, and all five sell out almost immediately. William Larue Weller Bourbon is well known in the whisky world, highly prized, and rarely owned. It's incredibly difficult to get; and specifically, the 2015 release hasn't been on sale since the fall of 2015. I reviewed the 2015 BTAC, and while I picked Handy Rye over William Larue Weller, both scored remarkably well. Lagavulin 12 Year Old is listed as the best single malt scotches between 11 and 15 years in the multiple cask category. You're likely to find this whisky at speciality whisky shops, but it does run at limited numbers, so your luck may vary. Blended Scotch Whisky remains the most available category from Jim Murray's Whisky Bible. Ballantine's Finest, Johnnie Walker Black, and Chivas Regal 18 year old make the highlight reel. These brands are available worldwide. Irish Whiskey has gems. Rebdreast 21 is available at speciality locations, and you should be able to find it throughout the year. Bushmill 21 is harder to find. The most available whisky on Jim Murray's list is every bartenders favorite shot: Jameson Whiskey. It regularly wins the best Irish Blend category. Crown Royal Northern Harvest Rye won the best Canadian whisky for the second year in a row. This is a highly available whisky. There was a fair bit of batch variations, as I covered here, but Crown Royal has removed batch numbering in the most recent run. Still a pretty good whisky for the price point, but only Jim Murray thinks it's the best Canada has to offer. Japanese whisky is the hardest to get. Good luck. Most of the best American whiskies on Jim Murray's list are impossible to find. However, Pikesville 110 Proof 6 Year Old Rye is available at many whisky shops (it won best rye up to 10 years of age). Bernheim Original won the wheated whisky of the year, and is largely available. 1792 Single Barrel is available. The others on the list are rare releases or one-time releases. Have any tips? Include them in the comments section. Happy hunting!